The ongoing eruptive activity at the summit caldera of Kilauea on the Big Island of Hawai'i. You aren’t hearing this from me (well, okay, you are), but sometimes teaching is just a little bit like carnival barking. You have to be entertaining about something that actually isn’t all that unusual or interesting. And sometimes you have to reveal just a little at a time to keep the interest going until the dramatic finish (“the butler did it!”). During our recent exploration of the Hawaiian Islands, I chucked all that. We started our trip in Hilo on the Big Island, we were only thirty miles from Hawai’i Volcanoes National Park, the volcano was erupting, so our first morning as a group we headed up the highway to see an erupting volcano. It was a first for everyone on the trip. When was the last time you saw a class paying complete attention to the subject? There's a secret to keeping the attention of a class of students. It's easy really...just put them in front of an erupting volcano! What we could see was astounding: a lava pit that has been erupting continuously since 2008, on a volcanic shield that has been erupting continuously since 1983! 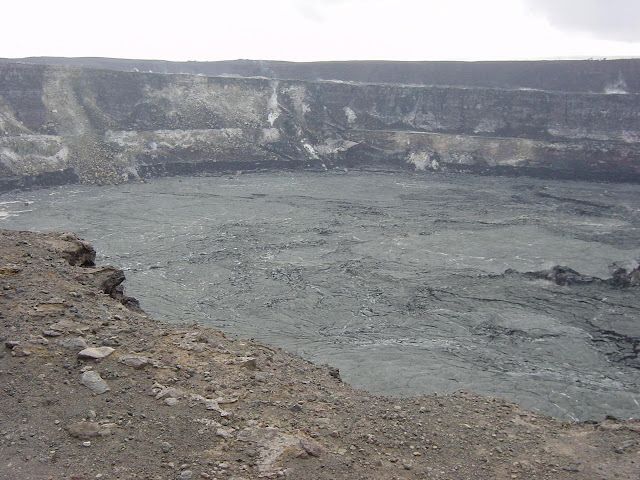 The shield volcano is called Kilauea, and the crater within the summit caldera is called Halemaʻumaʻu. The crater is said to be the current home of Pele, the volcano goddess of Hawai'i. The current volcanism of Hawai'i is occurring only on the Big Island, and only on two of the five volcanoes that make up the island: Mauna Loa, and Kilauea. 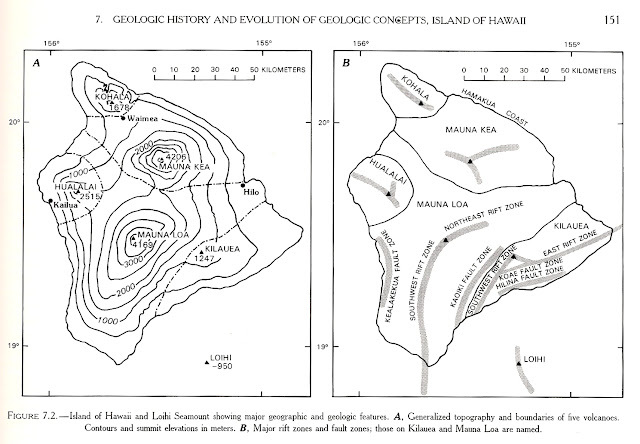 Mauna Loa is clearly visible on a physiographic map of the island (above), while Kilauea is less so (refer to the map below to see where it is). Mauna Loa is gigantic, covering half of the island, reaching an elevation of 13,679 feet (4,169 m) with a volume measured at more than 10,000 cubic miles. From her base on the sea floor, Mauna Loa is the highest mountain on the planet at 31,000 feet. Kilauea is less massive, rising to only 4,091 feet (1,247 m). Mauna Loa and Kilauea produce roughly similar amounts of lava, but Mauna Loa tends to produce lots of volume in periodic eruptions (the last was in 1984), but Kilauea has become known for continuing eruptions that simmer along for years, with occasional outbreaks that flow down to the coast (or unfortunately through nearby villages). The eruptions don't come just from the summit calderas. Most of Kilauea's activity is actually elsewhere along rift zones, especially at a cone called Pu'u O'o (watch for a future blog discussion). There are two rift zones extending from each volcano, trending roughly northeast to southwest. It's tricky to determine the age of the volcanoes, since younger eruptions are constantly covering older eruptions, but Mauna Loa has probably been erupting for around 700,000 years (the oldest exposed flows are 200,000 years old), while Kilauea is perhaps 600,000 years old, with exposed rocks ranging from around 70,000 to 43,000 years ago. 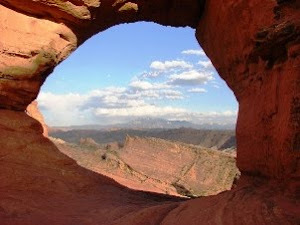 This is a view that is no longer accessible for visitors to the park. In 2008, the lava pit in Halemaʻumaʻu exploded and tossed foot-wide boulders at this overlook, and since then noxious and poisonous gases have made this spot dangerous. The frozen lava in the main crater dates to the 1920s when a molten lake of lava filled the crater floor. 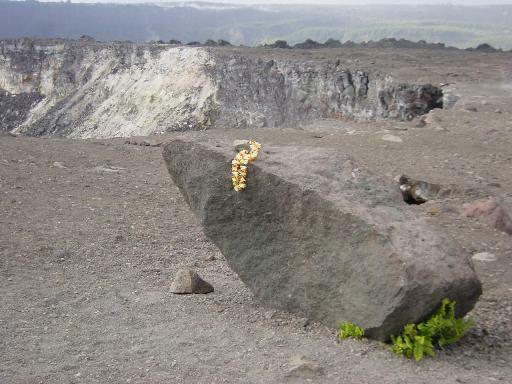 The gifts left at the crater rim show that many take the existence of the volcano goddess Pele quite seriously. For this blog series on the "Hawai'i That Was", I'm intending to follow the itinerary we followed as a class, but I want to skip ahead a couple of days. In the daytime, the view of the lava pit in Halemaʻumaʻu was awe-inspiring, especially to those in our group who had never seen an active volcano (mainly all of them except Mrs. Geotripper and my fellow professor), but what happened three days later left me stunned. 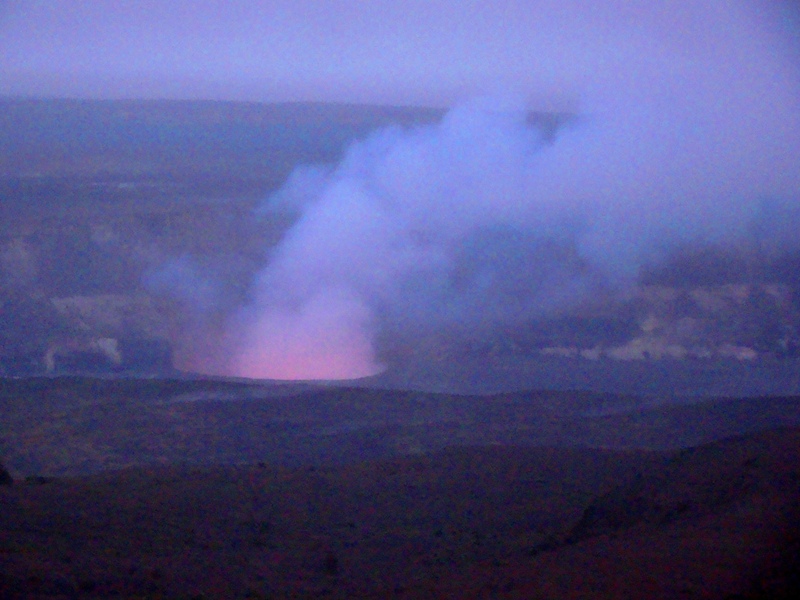 When I was last on the island with students in 2009, a few of us waited for the sunset at Kilauea, long enough to see the glow of the lava lake in the twilight (it's overwhelmed by sunlight). It was neat, but not earth-shakingly spectacular, as can be seen above. At the time, the pit was maybe 200 feet across and 500-600 feet deep. We made arrangements to stay through the evening again, and I wasn't expecting much, but as we pulled up into the parking lot, I could see something was very different. The sky was glowing brightly long before we could see the crater (below). The pit today is 500-600 feet across now, and in the weeks prior to our arrival on the islands the lava lake had been at a depth of 100-150 feet. But on the night we arrived, the lava had risen to within 88 feet of the floor of the crater, and the lava was splashing about over the rim. It was, as I said before, a stunning spectacle. We ran to the edge of the observation deck. The lava lake was about a mile away. We couldn't hear anything, but what we saw was beautiful. It was difficult in the dark to catch photographs of the fountaining lava, but the video did. 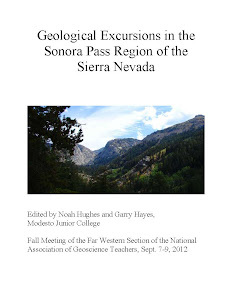 I posted this a few weeks ago, but it's one of my favorite geology moments ever, so here it is again. Coming up: explorations in a rapidly changing national park! So sorry, but you have your volcanoes mixed up. Mauna Loa is the short one in the middle of the Island. Kilauea is below Mauna Loa. The highest mountain in the world is Mauna Kea, the one north of Mauna Loa. 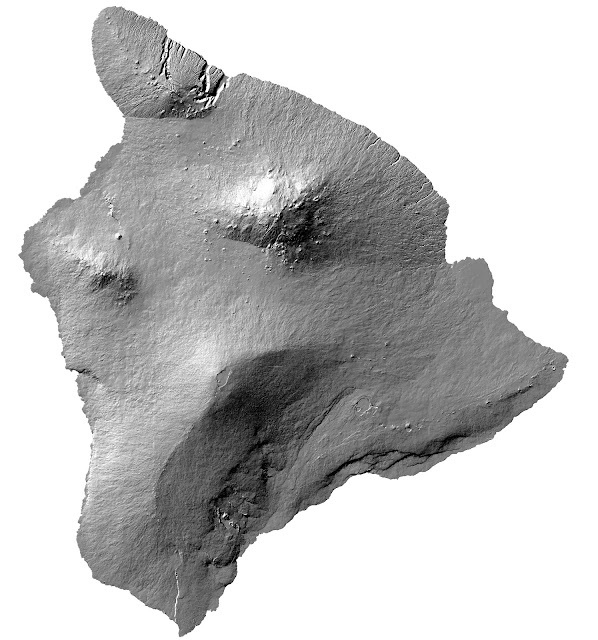 I live on the skirt east of it above Hilo. Mauna Kea is the one with all the telescopes, though there are a couple on Muana Loa. It also catches the most snow. It was shining brightly in the sun a few weeks ago after a fresh coating. Can you believe winter weather storm warning's in Hawai'i...in June?! As an interesting aside, the Hawaiian alphabet only consists of 13 letters, about half of the alphabet used in English. This is one reason that so many names are tongue-twisters and also why so many names are repeated or have only one letter changed. Mahalo for visiting our beautiful Island! You are right, but allow me to clarify my thinking. Mauna Kea is the highest peak on the Big Island by about a hundred feet, but Mauna Loa is a much larger volcano, far larger than Mauna Kea, and it pushes down on the underlying crust. By this metric, it is about 56,000 feet tall, making it in my mind the tallest, which I meant to mention. Point taken though, Mauna Kea is higher above sea level (which I knew), and therefore the highest in the world above the base. Thanks for the correction.